Joe Mauer: The Twins Tin Man | That's Twins Baseball. A Minnesota Twins Blog. 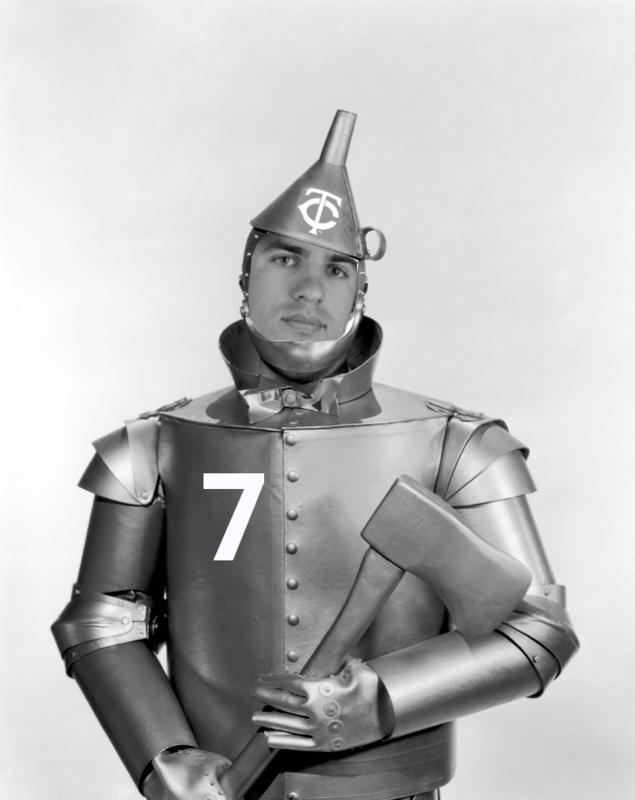 OZ — Joe Mauer may be the Man of Steel to Twins fans but his knees may be more like the Tin Man’s. Today the Star Tribune’s LaVelle E. Neal tweeted that Joe received an injection in his knee to help lubricate the joint. He also went on to tweet that it’s the same type of synthetic lubricant that Nick Blackburn has used as well as Texas’ Josh Hamilton. I’m no doctor but I also remember Brett Favre receiving some type of lubricant injection into his ankle this past season which makes this sound even more alarming considering Favre was 40 years old and barely able to walk. Perhaps the Twins noticed the spike in crude oil today and wanted to do it while the prices were low? One thing is for sure, this isn’t what you want to hear regarding the player on the field that uses his knees the most. I just hope the Twins were thinking with their dipstick Jimmy.